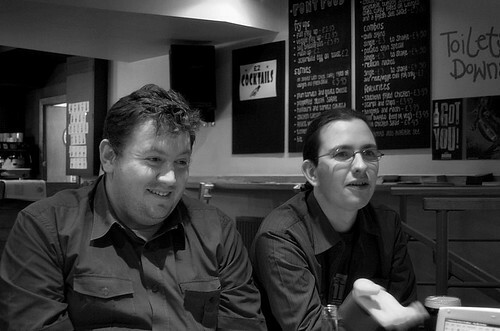 In November 2005, I went to Manchester for an AccessifyForum meetup. One of the people I met there was Jack Pickard, and while I don't remember much of what we talked about, I do remember laughing a lot. With, rather than at, him. Our paths crossed a few times since that weekend, and whenever we met, he was always kind, funny and obviously passionate about accessibility. He was someone I didn't see very often, but always enjoyed spending time with, and kind of assumed there'd be other chances to do so, so it was with no small amount of shock and sadness that I read on twitter last night that he had suddenly passed away over the weekend. His passing is a tragedy, not only for the wife, two children and other family he leaves behind, but for the wider accessibility community. There aren't so many of us that we can afford to lose the good ones. Rest In Peace, Jack. You always were a thoroughly decent chap.